Sparkling wine always works well with all kinds of dishes, also all through the Christmas Dinner, especially with wines from D’Araprì Winery. So, this is Christmas… as John Lennon sang in the song Happy Christmas (War is Over) from 1972. Well, there is still a couple of weeks until Christmas Eve, but we are getting closer. For me, Christmas means going back home to Sweden to spend time with family and friends. As we are a bit of a scattered family with my brother living in Germany, me living in Italy, and my oldest brother not being scattered but living next door to our mother…it is often hard to meet all together. Generally, I spend Christmas with my mother and my brother in Sweden, Per. However, for me, Christmas also means spending time with friends that I do not see very often. Sometimes, it happens that we spend Christmas Eve with one of my best friends since elementary school and her family. Christmas is indeed a time cherishing the time spent together. Let’s move on to discussing Christmas and wine, that sounds better, right? 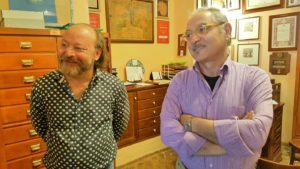 This is the first article about D’araprì winery from San Severo in Puglia which is a part of the December 2017 theme for the wine and food writers in the Italian Food, Wine, and Travel (#ItalianFWT) group. This month, we will focus on the theme Italian Wines for the Christmas Feast. My contribution will talk about D’Araprì winery’s sparkling wines that they produce with native grapes. 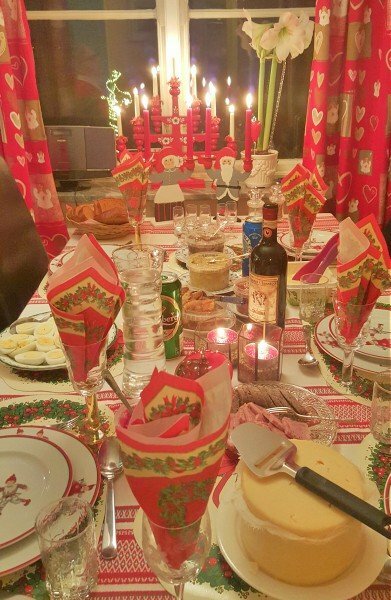 So, I want to show how they can be paired all evening long to a Swedish Christmas dinner. The second part of the article will be published later on in December. D’araprì is a winery in San Severo in Puglia. San Severo is located in the most northern part of Puglia, as you can see on the map to the right. 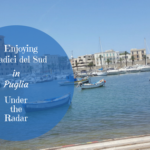 Daunia is both a geographical and cultural area that embraces the entire northern part of Puglia with the Tavoliere delle Puglie, the Gargano, the districts of Foggia, Barletta, Andria, and Trani. This is an area with a rich history that goes back to ancient times. 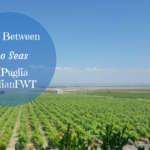 It is also a good area for viticulture because it is very windy, and at the same time sheltered by the Gargano, which hinders mold from developing on the vines. San Severo is an area which, just as many viticultural areas in Puglia, is fermenting with activity and initiatives from local wine producers. 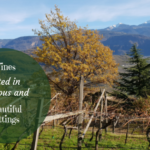 When I went there earlier this summer, I visited not only D’araprì but also interesting wineries such as Valentina Passalacqua (a biodynamic winemaker) and D’Alfonso del Sordo. We also met with several Nero di Troia producers from the area. 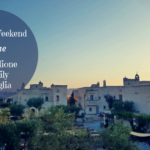 See more about my visit in Puglia in these two articles: One Big Wine Family – The Essence of #Radicidelsud in Puglia and Nero di Troia – A Wine Worthy of Greek Gods at #Radicidelsud2017 in Puglia. 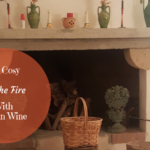 See also the episode of WinesOfItaly LiveStream where Girolamo and Anna were guests talking about their winery and wines, clicking here. 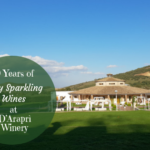 D’araprì is a winery with an interesting and “jazzy” story about how they started to produce sparkling wines. They produce the wines with indigenous grape varieties and use the Champenoise method. The winery was founded by the three friends Girolamo d’Amico, Louis Rapini, and Ulrico Priore. Back in the 1970s, Girolamo, Louis, and Ulrico had a band where they played jazz and improvised together. While they were having their jam sessions they also talked about their passion for winemaking. Soon they would alternate playing jazz with experimenting with sparkling wine methods popping bottles next to their musical instruments. They still have their band today and play together. Step by step they then started out their winery working with passion to build it from nothing to what it is today. They had family connections in the wine production business, I believe one of their parents was a vine grower. The connection Louis had and has to France, where he grew up, helped them study sparkling wine methods close up at Champagne wineries in France. To produce sparkling wines in Puglia was something very unusual back in the end-1970s, and still is today to some extent. To produce sparkling wines with indigenous grapes was even more unheard of. They are today producing their Metodo Classico wines with Bombino bianco, Montepulciano, Pinot Noir, and soon also a 100% Nero di Troia wine. 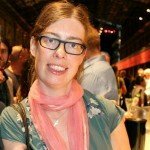 Anna, Girolamo’s daughter, explained to me that Bombino bianco is perfect for making sparkling wine as it has a high acidity and a low alcohol level. They are unique in producing sparkling wines with this grape. Pinot Noir is, of course, not indigenous to Puglia but it gives elegance and flavor to the wines and is an essential support to the Bombino bianco. They use Montepulciano in their sparkling rosé wine though they also use it in their La Dama Forestiera wine which is a blend of Pinot Noir and Montepulciano. This wine is only produced in Magnum format. They produce a Brut (Bombino bianco and Pinot Noir), Pas Dosé (Bombino bianco and Pinot Noir), Brut Rosé (Montepulciano and Pinot Noir), Riserva Nobile (Bombino bianco), Gran Cuvée (Bombino bianco, Pinot Noir, and Montepulciano. This is only produced in years when the grape quality is excellent), and La Dama Forestiera (Pinot Noir and Montepulciano). Next year, when they celebrate their 40-year anniversary they will come out with a sparkling wine made with Nero di Troia. I am very curious to try this wine next year. In Sweden, the main day we celebrate is Christmas Eve with a big family dinner followed, of course, by the opening of the Christmas gifts in front of the Christmas tree. Lately, being mostly adults celebrating together, we have started bringing each a set of non-expensive gifts and then play with dice stealing the gifts from each other and having lots of fun. Now back to the dinner. Generally, there is a lot of food on the Christmas table from starters to main courses and dessert. Here, I have only chosen the typical herring, salmon, Christmas ham, and a dessert, to not make it too long. Then, I pair the different food selections with the sparkling wines from D’Araprì. Herring can be found in many different variations. From smoked to pickled and in different sauces on the basis of onion, mustard, tomato, etc. The sparkling wines from D’Araprì are dry, not sweet, which works well in a context of Scandinavian food too. With herring, I would suggest their Brut sparkling wine. Even if it is a bit sweeter than the Pas Dosé, I believe it works well with the pickled herrings in different sauces that can be both sweet and sour. The crust of bread is a typical note that you feel in both their Brut and Pas Dosé wines. This combined with the acidity cleans your mouth well while enjoying the selection of herrings. Salmon is a very oily and fat fish and it can be smoked or marinated. Therefore, it craves a wine with a high acidity that is still elegant and smooth. I would choose the Pas Dosé from D’Araprì here as it is a bit drier than the Brut but very elegant and structured in its essence. It has notes of citrus fruits combined with the crust of bread. Another alternative could be their Riserva Nobile, This is a 100% Bombino bianco which is laying in the bottle for at least 48 months and is a very structured wine with an elegant perlage. It is a fresh sparkling wine with notes of fruit such as apple, pear, and then banana, and a slightly buttery taste. The meat is very present also on the Christmas table in Sweden. All from cold cuts to ham, meatballs, and sausages. The Christmas ham we generally cover with mustard which then turns into a nice crust when baked in the oven. For the ham and the other meat dishes, I would choose their Gran Cuvée. This is a blend of Bombino bianco, Pinot Nero, and Montepulciano which is laying in the bottle for at least 60 months. The main note you feel is honey, which becomes more accentuated after time. Also, you can feel notes of citrus fruits and hazelnut. It is a very structured and full-bodied sparkling wine which could work well with the Christmas ham. The taste of honey would amalgamate well with the crust of mustard on the ham. The vintage of this wine that they are selling now is 2009. The other, and perhaps, the best alternative would be to pair the ham with their La Dama Forestiera which is made with two red grapes, Pinot Noir and Montepulciano, even though the Pinot Noir is vinified as a white wine here. 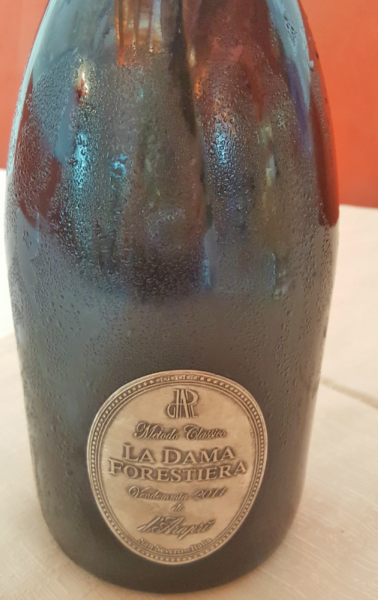 La Dama Forestiera is a Blanc de Noir. This sapid and fresh as well as very rich and full-bodied sparkling wine has smooth fruity and lightly spicy notes. The dessert number 1 at the Christmas table, at least in the south of Sweden, is Ris à la Malta which is a dessert with Danish origin from the 19th century. The dessert has some half-French origin as the name in Denmark is Ris à l’amande (rice with almonds). Here, I would go back and pair it with the Brut Rosé as it has distinct notes of red berries and red peach. Often the Ris à la Malta is eaten with a warm sauce of blackcurrant or some other berry fruit. Thus the Brut Rosé from D’Araprì could be a good choice. However, La Dama Forestiera could be a good choice too for its structure and slightly spicy undertone. As cinnamon is often strewn over the Ris à la Malta, the spicy side of La Dama Forestiera, and, of course, its rich structure would work well with this dessert. The pairings here are all based on how I think it could work out well based on my tastings of the wines of D’Araprì in other contexts. 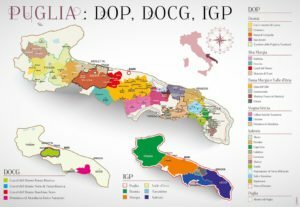 I hope you have gotten an idea of the character and uniqueness of the sparkling wines produced with native grapes by D’Araprì winery in Puglia. appassimento pasted into my comment. Sorry!